The history of private investigators is fascinating; in 1833 Eugène François Vidocq became the first private detective; a soldier in the French Revolution, he was able to solve cases that confounded the police. 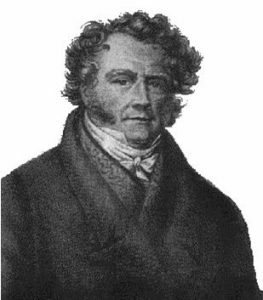 Much to the disapproval of French officials, he founded the first private detective agency named “Le Bureau des Renseignements Universels pour le commerce et l’Industrie” (“The Office of Universal Information For Commerce and Industry”) Even though French officials did not approve, Vidocq created and used many of the methodologies that have since been adopted by law enforcement. Private investigators in the early days were only hired by governments, foreign and domestic, big corporations and the elite. In the Early 1890’s, a US investigation firm used a logo showing an eye and the tag line ‘We never sleep’. This is where the term ‘private eye’ originated. The turn of the century brought many changes, and private investigators became more available to the general public; their services expanded to tracking unfaithful spouses and finding lost loved ones and companies such as insurance agencies were using their services to investigate fraudulent claims. Investigators traveled both nationally and internationally to solve cases and provide information necessary for clients to make important decisions. In the United States, private investigators perform many of the same duties today, using tried and true investigative methods, as well as advanced technology. Almost all states have requirements for licensing, which requires a criminal check, certified experience in investigations and the passing of a test. Licensed investigators work hard to police the industry and root out any unlicensed or substandard investigators, who may damage the reputation of good investigators. Private investigators often use cutting edge technology to solve cases, but more often than not, it is investigative technique, attention to detail, knowledge of human nature and ability to read people, as used by Mr. Vidocq, that solves cases today. We’ve become acquainted with law firms across the country. Starr and Associates practice personal injury law in Plano Texas. Tom Thomas is a credit card lawsuit attorney in Dallas. Chad Ruback is an appellate lawyer in Dallas and considered one of the best lawyers in Dallas. Stephen Handy is Criminal Lawyer Fort Worth and Tarrant County.